This former bank, a cavernous monolith built in the 1970’s, was carved into two restaurant spaces and an apartment/office unit. 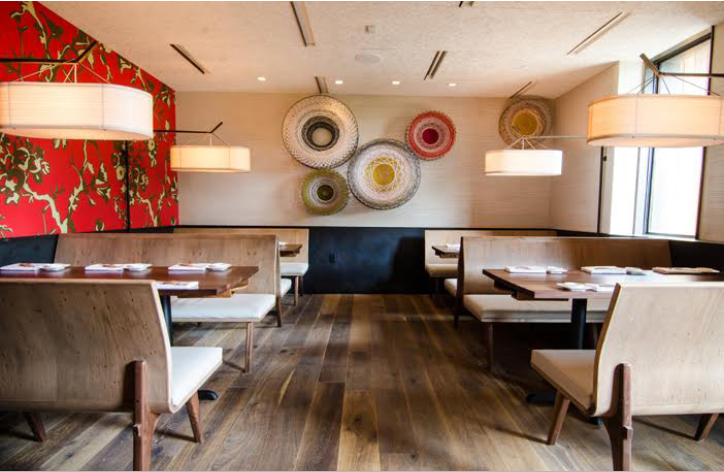 Uchi Dallas occupies the first floor, clad in stacked brick and Italian roof tiles, the cool exterior gives way to warm woods and light upholstery inside. 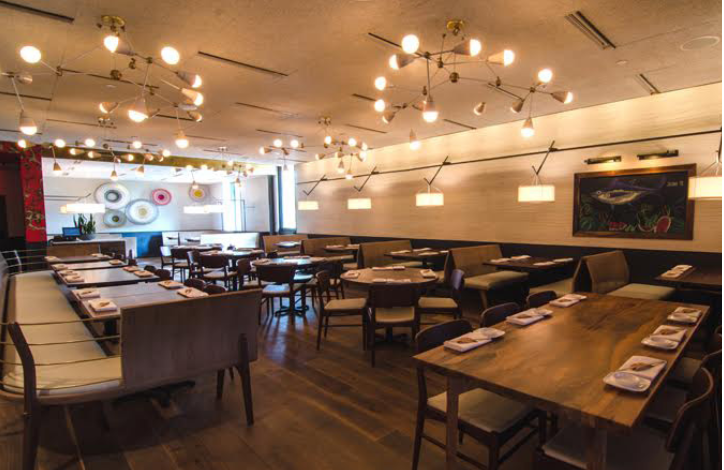 Dallas was buzzing about Uchi’s arrival long before the restaurant opened and the space, cuisine and service have won over the city when it opened in June, 2015. A second, distinct restaurant and bar, Top Knot, opened upstairs in November, 2015. The dining area features a wall of windows surrounded by a patio enclosed with a birdcage of wood and steel. It is the perfect perch in the bustling Uptown neighborhood, which draws people from all over the city. The second story is also home to a two-bedroom apartment inhabited by visiting chefs and managers.